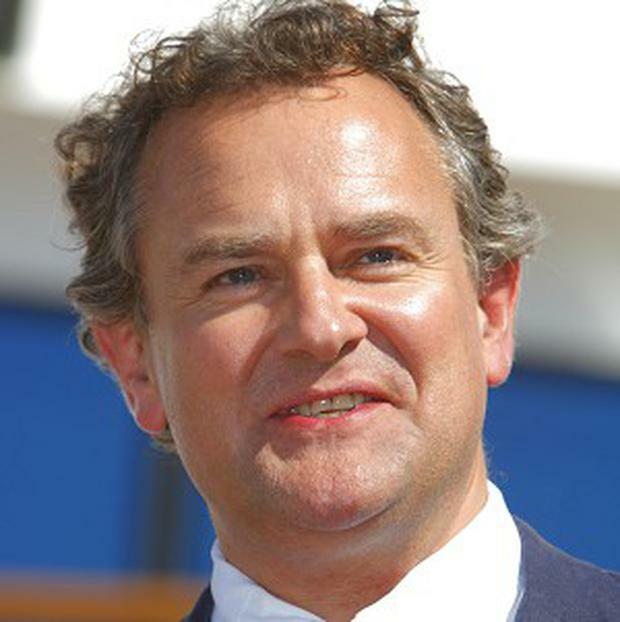 Hugh Bonneville and Damian Lewis are up against each other for drama acting honours at this year's Emmys. The pair, in nominations announced in the US, are in the running for the best actor in a TV drama series category, and face Oscar-winning star Kevin Spacey for his role in House Of Cards. Hugh's Downton Abbey colleague Michelle Dockery is up for the equivalent best actress prize. House Of Cards has achieved a notable first by becoming the first programme, which has not been screened on TV, to be recognised by the awards. The series - a revamp of the BBC's political thriller - was shown by online streaming service Netflix. Leading the tally of nominations was American Horror Story: Asylum with 17, followed by Game of Thrones with 16, while the celebrated Liberace film Behind the Candelabra - starring Michael Douglas and Matt Damon - landed 15. Hugh is up for Downton, while Damian competes for his role in Homeland. Also in the running are Bryan Cranston for Breaking Bad, Jeff Daniels for The Newsroom and Jon Hamm for Mad Men. Michelle faces a shortlist which includes Claire Danes for Homeland, Elisabeth Moss for Mad Men and Robin Wright for House Of Cards. Downton and Homeland also go up against each other for the best drama series title, along with House Of Cards, Game Of Thrones, Breaking Bad and Mad Men. Other Brit nominees include Benedict Cumberbatch for Parade's End and Toby Jones for The Girl, who battle for the prize for lead actor in a miniseries/movie. Dame Helen Mirren is shortlisted for the equivalent best actress prize for her performance in Phil Spector. Another Downton star Jim Carter earns a place on the shortlist for supporting actor in a drama series, while Dame Maggie Smith from the same period drama series is up for the best supporting actress. Cat Deeley picks up a nomination for best host of a reality show for So You Think You Can Dance while BBC co-production Top Of The Lake is listed for best miniseries or movie. The Primetime Emmy Awards take place at the Nokia Theatre in Los Angeles on September 22.